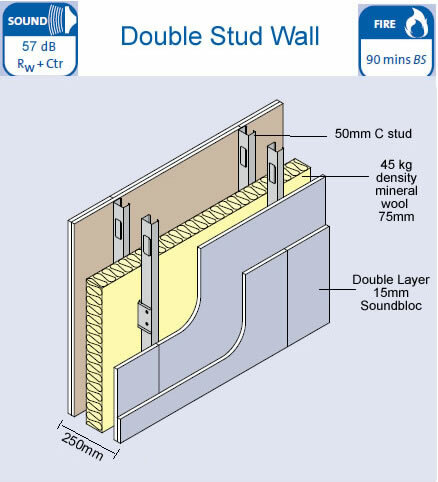 Using Metal Stud to sound proof separating walls ( Party Walls) to a regulation E standard. 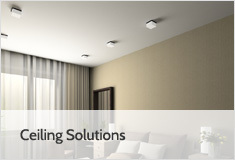 - For use where you are separating off a large space into a number of separate dwellings. It is key that you understand the difference when specifying a wall between Rw+Ctr and DnTw + Ctr. 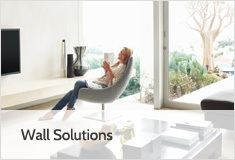 On this page we will provide three separate wall soundproofing solutions in descending order of performance ( as tested in the laboratory). Each of the systems would appear to be well inside regulation requirements however there is up to an 8 decibel performance difference between lab tested systems (Rw figure) and the field test data ( Dntw figure). You are required to pass an in the field test so is is key that you work with a system that is generously inside the 43db threshold. Each system has a sound rating associated with it . Make sure the RW system you choose is generously inside the Dntw figure of 43db that you are required to achieve. 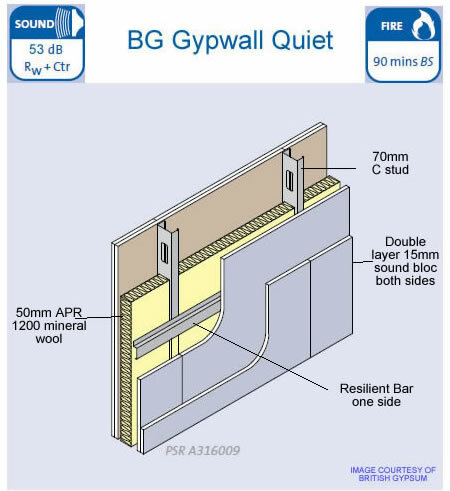 Beware: Although often specified by architects the last system we offer System C- BG quiet wall, in the field tests is often very close to the limit and for this we hesitate to recommend it. 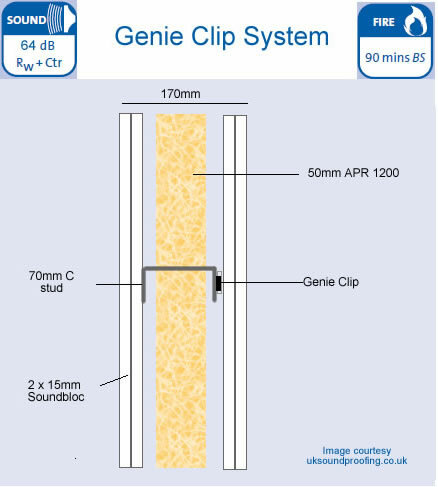 Solution A – Genie Clip System Wall soundproofing. Benefits are speed of installation and low overall thickness of 170mm. The traditional method of assuring sound proof regulation E compliance with a separating wall. 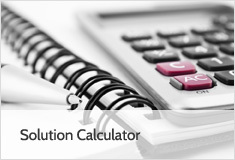 Select this system with caution the Dntw attained figures will be lower.